Defects such as dislocations, antiphase domains and grain boundaries, interstitials/substitutionals, and vacancies affect many physical and mechanical properties of ordered intermetallics. As a result, they often play a decisive role in determining the macroscopic behavior of not just structural intermetallics but also 'functional' intermetallics such as shape memory alloys and hydrogen storage materials. 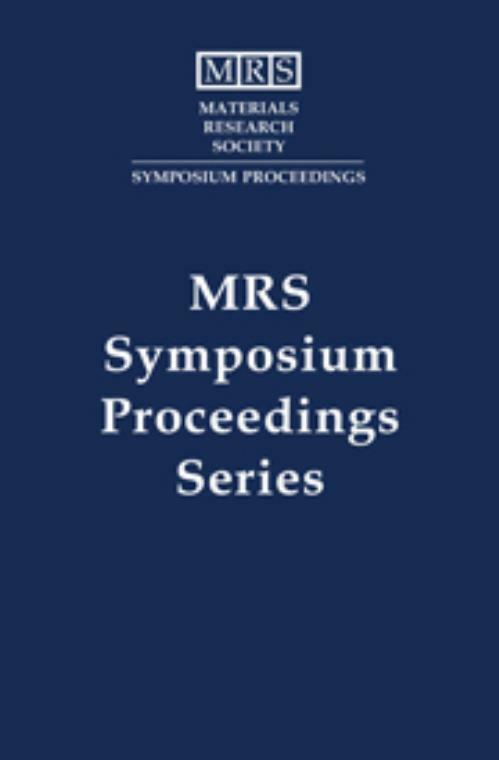 This book follows in the general tradition of the highly successful series of MRS symposia titled High-Temperature Ordered Intermetallic Alloys. However, it also represents a significant departure from its predecessors: it includes papers on functional intermetallics in addition to papers on structural intermetallics; and focuses on defects and how they affect various properties of interest in structural and functional intermetallics. Roughly 30 percent of the papers in the book are on functional intermetallics, including materials for hydrogen storage, magnetic, and shape memory applications. The remaining papers deal with structural intermetallics, including the still active areas of nickel-, iron-, and titanium-aluminides, as well as the newer materials for ultrahigh-temperature applications. Easo P. George University of Tennessee. Gunther Eggeler Ruhr-Universität, Bochum, Germany.